Taking a different approach from previous books in the series, Nerilka's Story has a non-dragonrider and non-harper as its major viewpoint character. It is set during the events detailed in Moreta: Dragonlady of Pern. 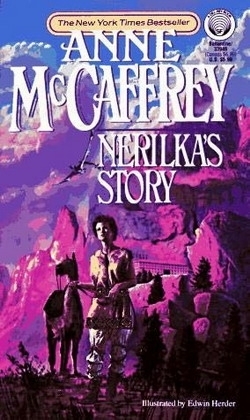 Nerilka is the daughter of a Lord Holder who turns her back on her own life of luxury and sets out to fight the disease that threatens to kill all humans on Pern.